Ladies accessories chunky rib knit charcoal & plum slouchy beanie hat. 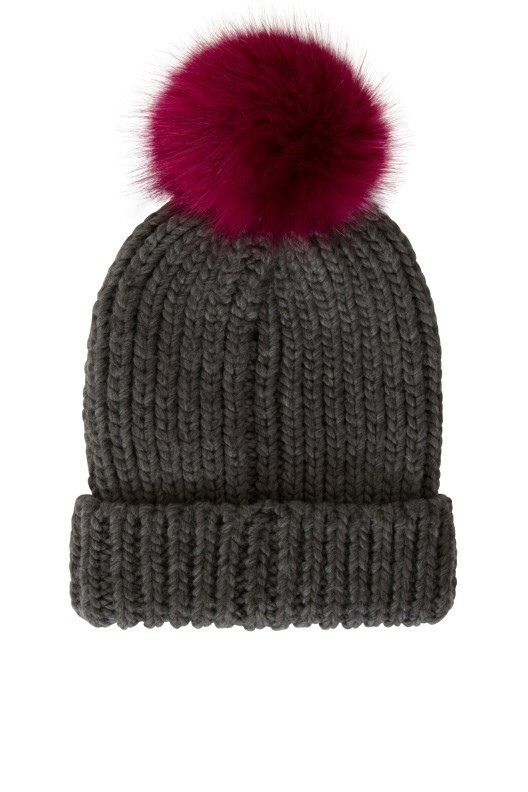 Featuring cuff and extra large faux fur pom-pom. Comes in packs of 12.